Paradoxically, one of the simplest ways to get what you want is to start by accepting and even appreciating where you are now. But sometimes the dance of desire and acceptance feels counterintuitive, tricky, impossible even. How can you stay grateful and present for what is while working to create more? How can you accept what is when things are painful and hard? After spending quite a few hours thinking myself in circles around this idea, I asked my teacher and dear friend Brittany Hopkins what she thought. 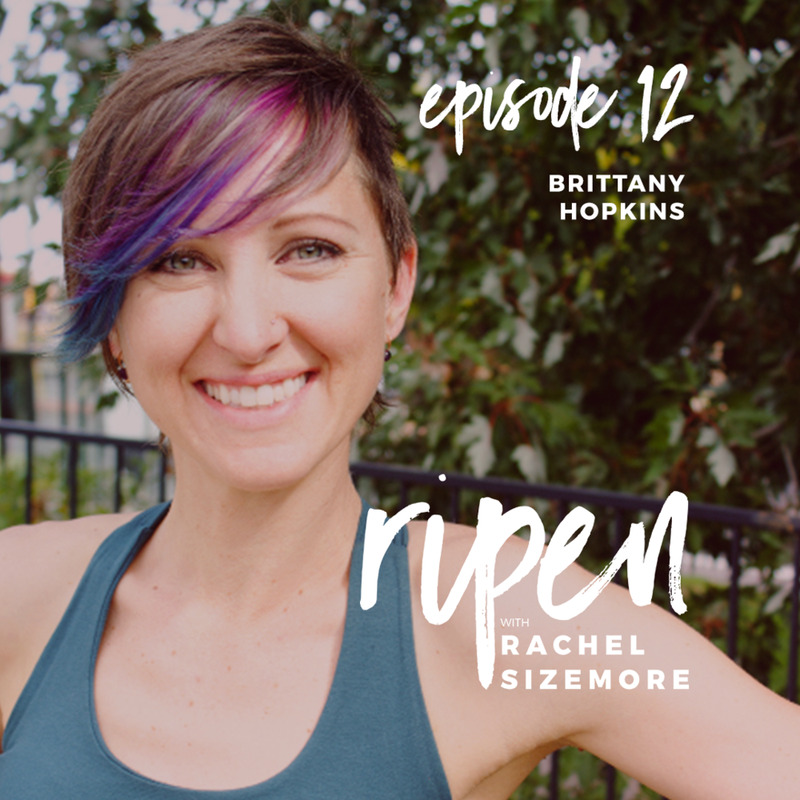 And Brittany, being a master manifestor, creator, and an all round rad human being has some pretty powerful insights for us on today's episode of Ripen. Brittany Hopkins is owner of and teacher at Container Collective Yoga. As an YACET E-RYT 500 certified Baptiste Yoga Instructor that has been teaching movement since 1998, she creates space for students to feel comfortable and confident to stretch and move beyond their imagination, on and off their yoga mats. With a background as a professional dancer and dance instructor in Chicago, IL; Central Utah; Denver, CO; and internationally in Beijing, China, her yoga classes are fun, fluid, and challenging, and inspire students to embody a sense of ease and unconditional love that impact their lives outside of the studio. She trained with the Baptiste Institute. She is also trained in Yoga Nidra "Yogic Sleep" and Silver Sneakers Chair Yoga. Brittany's warm-hearted spirit brings light and joy wherever she travels. Whether she is dancing, rock climbing, practicing/teaching yoga, or cruising around town on her bamboo bicycle, Brittany is hoping to inspire others to use their bodies to create a sense of peace for themselves. Practice yoga with Brittany from anywhere in the world.